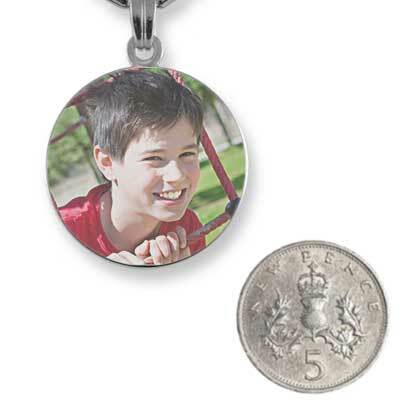 This is a Rhodium Plate Small Printed Colour Round Photo Pendant. 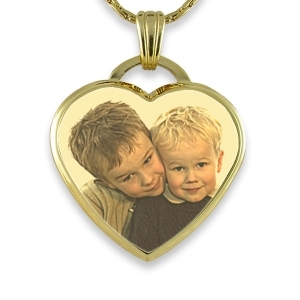 These pendants suit a close-up portrait of a person with a short dedication on the back. 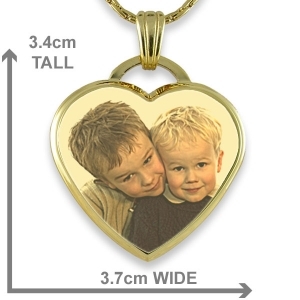 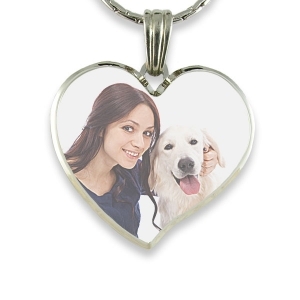 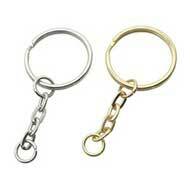 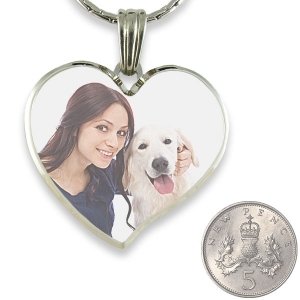 The higher the resolution of the photo uploaded, the better the reproduction of the image on the pendant will be. 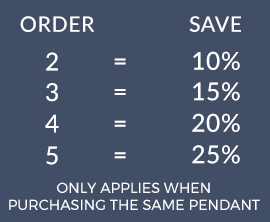 The print density is 300 dpi; (dots per inch). 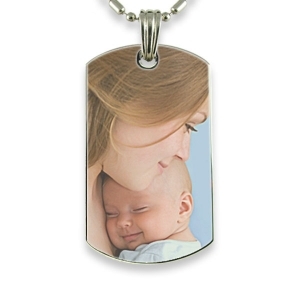 The colour pendants are coated to protect the printed photo. 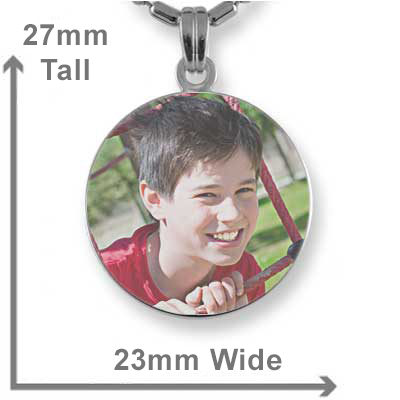 These printed colour photo pendants retain a metallic reflective quality after the photo has been printed onto the pendant. 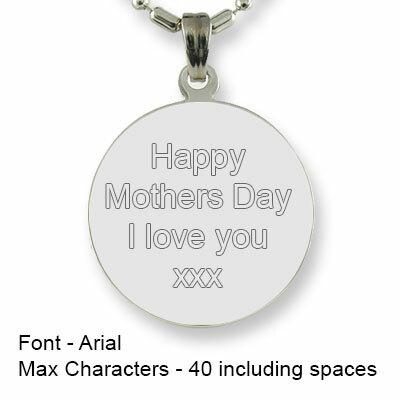 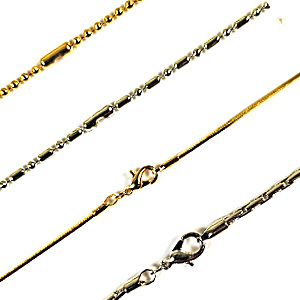 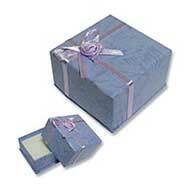 Rhodium is a reflective silver colour which works well with this photo printing process. 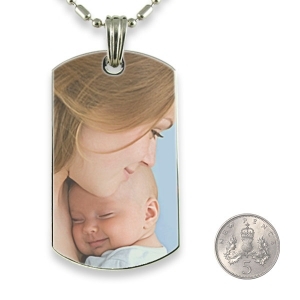 The pendant retains its reflective metallic finish after the photo is printed. 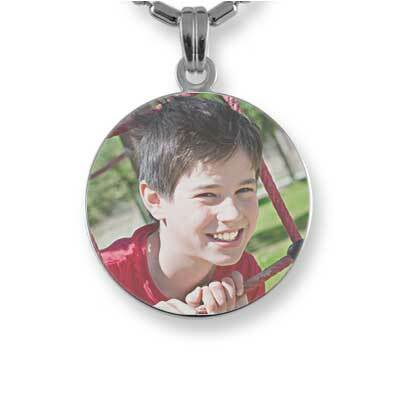 The colour pendants are coated to protect the printed photo.